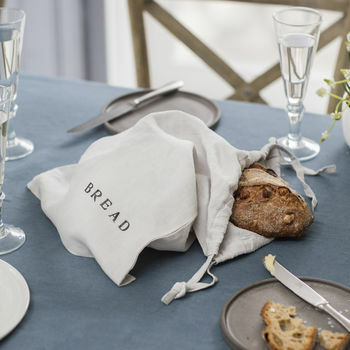 The French have always used linen bread bags to store their bread. Ours look beautifully stylish at home in your kitchen or at a picnic. 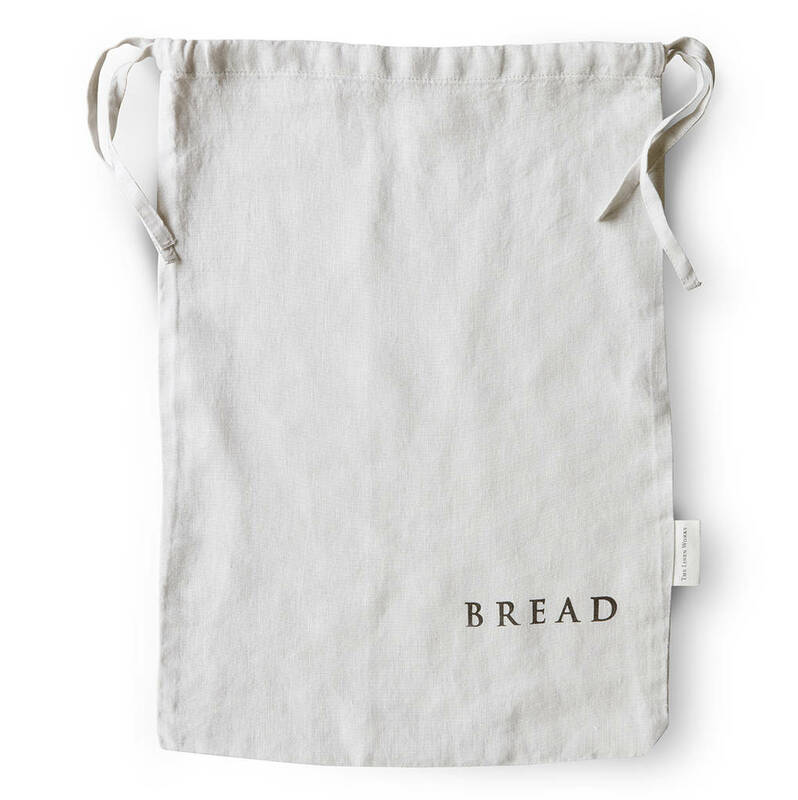 We love the idea of a hand stamped bread bag which keeps your bread fresh. Use it when visiting your local bakery or for storing your bread at home. If you're a home baker or a lover of bread then a linen bag is just perfect. It also makes a great gift for the keen baker in your life. 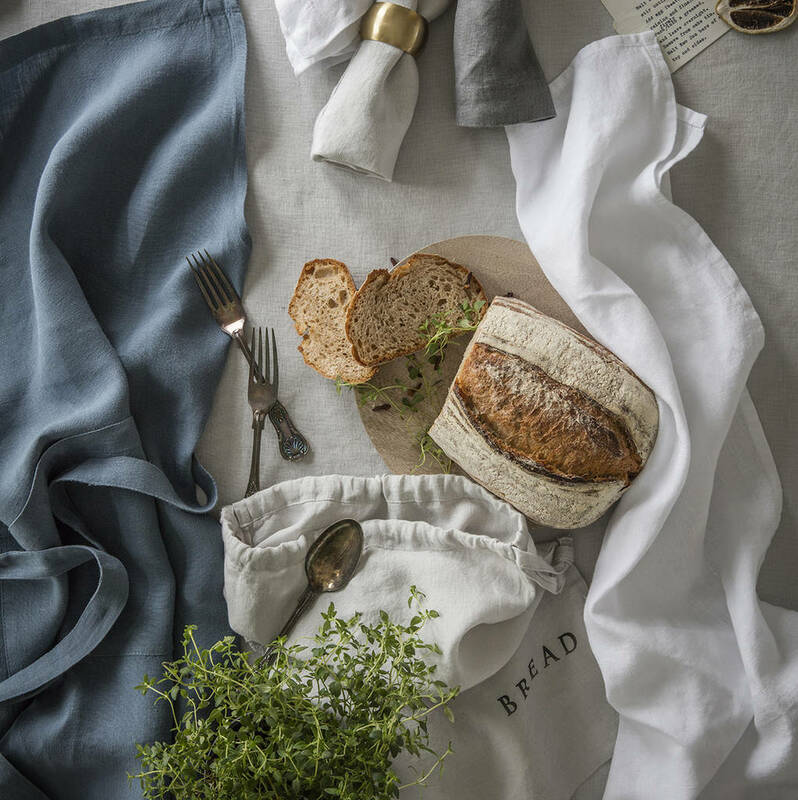 In Dove Grey washed linen and black ink hand stamping, this Bread Bag has a drawstring close to keep your bread lovely and fresh.